WHY TUBELESS TIRES FOR MOUNTAIN BIKING ? WHY TUBELESS TIRES FOR MOUNTAIN BIKING ? WHY TUBELESS TIRES FOR MOUNTAIN BIKING ? Tubeless systems became an evolutionary step forward from the old good inner tube and glue-on tubular systems of the past. As you probably guessed tubeless tires have no tubes, unlike traditional ones which use inner tubes to keep your tires inflated. 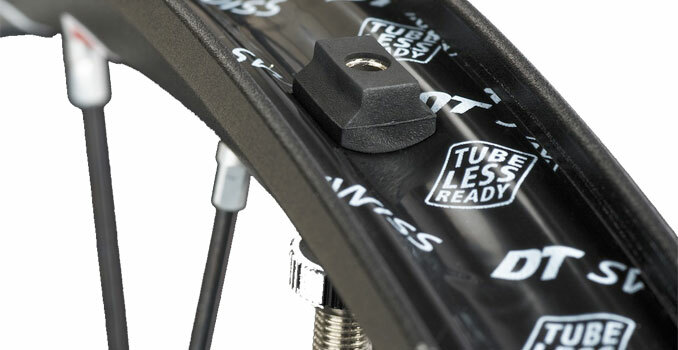 The tubeless are designed to be air-tight through the use of a latex-based sealant or an additional layer of rubber. Should you go with tubes on your mountain bike or without them ? Although every rider will have specific requirements and preferences, in our opinion a couple of cons are nothing comparing to advantages you get with the good quality tubeless system for your mountain biking. Here is why. No tube, no pinch flats since there’s no tube to pinch. Also, because you are using a sealant, most punctures will get sealed up without you even knowing it’s happened. In the worst case when you get a puncture the sealant can’t handle, you can simply install a tube-like normal and continue your journey. 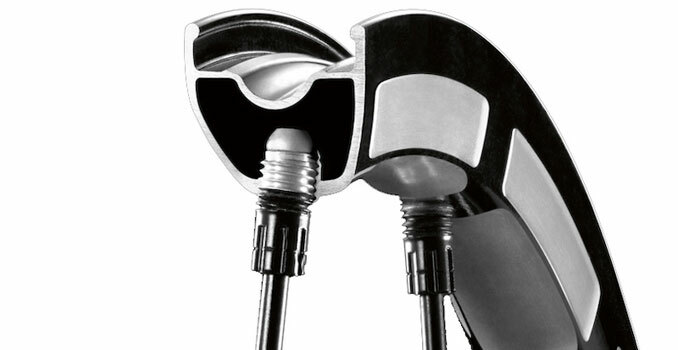 Without a tube, you can run lower tire pressures without worrying of pinch flat since there’s no tube to pinch. The lower pressures will allow the tire to more easily stick to the ground, providing at the same time a better grip and a more comfortable ride, as well as lower rolling resistance. The old school roadie theory of high tire pressure equaling lower rolling resistance doesn’t work here. Knobby tires on an uneven bumpy, many times soft and loose surface have their own physics. In the true mountain biking conditions when you hit the bump the wheel will move up while deflecting the tire around/over the bump. This deflection requires energy, and that energy is taken away from your forward momentum, which means you are slowing down. So while the less energy is consumed to deform the tire, and the less forward momentum becomes upward momentum, the less forward energy you lose. Using lower tire pressure is the answer to allow the tire to deform over bumpy trail instead of forcing the wheel upward. There is also additional friction between the tube and tire when you use the tube. By ridding of the tube you get rid of that friction and reduce this additional energy needed to deform the tire. By running tubeless, you’ll also get a much better feel for what your tires are doing. Your ride will become faster, smoother and easier. The tires even sound different. You just have to experience it yourself to really understand. It might not be a big advantage since it won’t make a huge difference. You even might not lose any weight using certain systems. But in theory no tube=less weight. Apart from the slightly higher price tag, installing tires without tubes can be a little bit of pain and sometimes requires an air compressor. So if you like to change them often, tubeless might not be for you. The liquid sealant also means that tubeless tires can be a little messy. 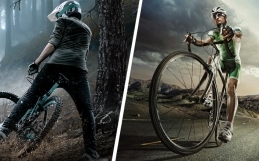 There are three different ways in which you can use tubeless tires for mountain biking. Each has its own advantages and disadvantages. 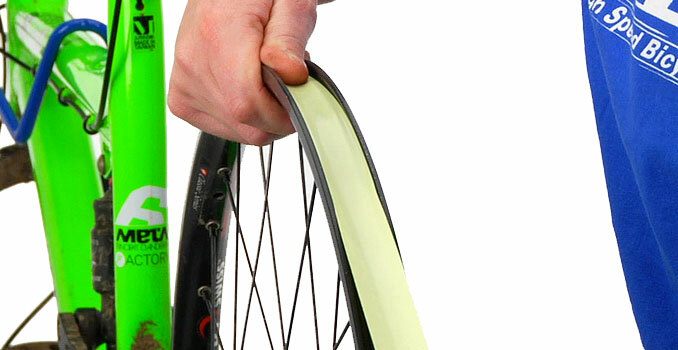 UST (Universal System for Tubeless) system uses thick side-walled tire which locks into a specific sealed-bed UST rim. It is a tubeless standard, meaning the rim and tire bead shapes are manufactured to very specific specs with tight tolerances. Any product with UST label must go through inspection and testing. This means UST rims are guaranteed to work with any UST tire. They also have an extra layer of air-tight rubber in the casing so they don’t require sealant like the other two systems. Still, many riders tend to add sealant for additional puncture protection. 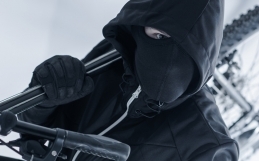 The big advantage of UST tires is that they are very reliable and are doing their job very well during aggressive mountain biking on a very rough terrain. Their fitting beads are the tightest of all three making beading hook very secure (although it can be painful to install it). On the downside: Tire selection isn’t great (especially for 29ers). They also tend to be more expensive because of the approval process. On top of this, they can add weight, be stiffer than the next two systems, and it’s not unheard of having to use sometimes an air compressor to install them. Non-UST tires do not generally play very well with UST rims. Tubeless ready rims basically allow you to use any tire – without tubes. You can also get tubeless-ready tires which have the tighter fitting and stronger beads. Unlike UST, tubeless-ready setups will require you to use a sealant to make the tires airtight. 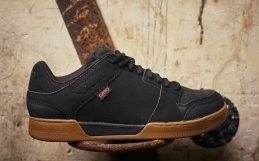 They are generally the lightest option since many of them do not have the extra air-tight layer of rubber (Like UST), and won’t need the thick rubber strip or tape rim conversion kits. Without that extra air-tight layer in the casing, tubeless-ready tires are also more supple than UST tires. The bead shapes may vary from one manufacturer to another – so some tires and rims might work better together than others. With the floor pump usually being enough to do the job, tubeless-ready tires are also the easiest to set up. Today, most manufacturers make tubeless-ready mountain bike tires, including Specialized, Bontrager or Geax. Back in 2000, Stan Koziatek developed the first reliable, commercially available tubeless conversion kit. By removing the tube, replacing it with a moulded rubber rim strip to seal the spoke bed of the rim, and adding liquid tire sealant to seal the tire and prevent punctures, you can convert nearly any rim and tire to tubeless. This also the cheapest way to go tubeless since you don’t need to buy new wheels or tires. Some rims and tires convert more easily than others, but kits won’t make your wheels the lightest and won’t be the easiest way to set-up. You might need an air compressor to get the tire bead seated and hold air.